"HE WAS NO COMMON SLAVE"
Any West African, regardless of status, might be enslaved. Ayuba Suleiman Diallo, who was born around 1701 to a family of Muslim clerics, was a well- educated merchant in the Senegambian region of West Africa, which had supplied Europe with beeswax, gold, gum, ivory, and small numbers of slaves since the fifteenth century. In 1730, he was kidnapped and transported to Maryland. In Maryland, he wrote a letter to his father, which came to the attention of James Oglethorpe, the founder of Georgia, who helped purchase his freedom and bring him to England, where he was known as Job ben Solomon. In February, 1730, Job's father hearing of an English ship at Gambia River, sent him, with two servants to attend him, to sell two Negroes, and to buy paper, and other necessities; but desired him not to venture over the river, because the country of the Mandingoes, who are enemies...lies on the other side. Job not agreeing with Captain Pike...sent back the two servants to acquaint his father with it, and to let him know that he intended to go farther. Accordingly having agreed with another man, named Loumein Yoas, who understood the Mandingoe language, to go with him as his interpreter, he crossed the River Gambia, and disposed of his Negroes for some cows. As he was returning home, he stoppped for some refreshment at the house of an old acquaintance; and the weather being hot, he hung up his arms in the house, while he refreshed himself. Those arms were very valuable; consisting of a gold- hilted sword, a gold knife, which they wear by their side, and a rich quiver of arrows, which King Sambo had made him a present of. It happened that a company of the Mandingoes, who live upon plunder, passing by at that time, and observing him unarmed, rushed in, to the number of seven or eight at once, at a back door, and pinioned Job, before he could get to his arms, together with his interpreter, who is a slave in Maryland still. They then shaved their heads and beards, which Job and his man resented as the highest indignity; tho' the Mandingoes meant no more by it, than to make them appear like Slaves taken in war. 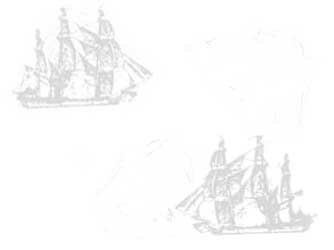 On the 27th of February, 1730, they carried them to Captain Pike at Gambia, who purchased them; and on the first of March they were put on board. Soon after Job found means to acquaint Captain Pike that he was the same person that came to trade with him a few days before, and after what manner he had been taken. Upon this Captain Pike gave him leave to redeem himself and his man; and Job sent to an acquaintance of his father's, near Gambia, who promised to send to Job's father, to inform him of what had happened, that he might take some course to have him set at liberty. But it being a fortnight's journey between that friend's house and his father's, and the ship sailing in about a week after, Job was brought with the rest of the slaves to Annapolis and Maryland, and delivered to Mr. Vachell Denton, factor to Mr. Hunt, before mentioned. Job heard since, by vessels that came from Gambia, that his father sent down several slaves, a little after Captain Pike sailed, in order to procure his redemption; and that Sambo, King of Futa, had made war upon the Mandingoes, and cut off great numbers of them, upon of the account of the injury they had done to his schoolfellow. Mr. Vachell Denton sold Job to one Mr. Tolsey in Kent Island in Maryland, who put him to work in making tobacco; but he was soon convinced that Job had never been used to such labour. He every day showed more and more uneasiness under this exercise, and at last grew sick, being no way able to bear it; so that his master was obliged to find easier work for him, and therefore put him to tend the cattle. Job would often leave the cattle, and withdraw into the woods to pray; but a white boy frequently watched him, and whilst he was at his devotion would mock him, and throw dirt in his face. This very much disturbed Job, and added considerably to his other misfortunes; all which were increased by his ignorance of the English language, which prevented him from complaining, or telling his case to any person about him. Grown in some measure desperate, by reason of his present hardship, he resolved to travel at a venture; thinking he might possibly be taken up by some master, who would use him better or otherwise meet with some lucky accident, to divert or abate his grief. Accordingly, he travelled thro' the woods, till he came to the County of Kent, upon Delaware Bay, now esteemed part of Pensilvania; altho' it is properly a part of Maryland, and belongs to my Lord Baltimore. There is a law in force, throughout the colonies of Virginia, Maryland, Pensilvania, etc. as far as Boston in New England, viz. that any Negroe, or white servant who is not known in the county, or has no pass, may be secured by any person, and kept in the common gaol, till the master of such servant shall fetch him. Therefore Job being able to give no account of himself, was put in prison there. This happened about the beginning of June, 1731 when I, who was attending the courts there, and had heard of Job, went with several gentlemen to the gaoler's house, being a tavern, and desired to see him. He was brought into the tavern to us, but could not speak one word of English. Upon our taking and making signs to him, he wrote a line or two before us, and when he read it, pronounced the words Allah and Mahommed; by which, and his refusing a glass of wine we offered him, we perceived he was a Mahomedtan, but could not imagine of what country he was, or how he got thither; for by his affable carriage, and the easy composure of his countenance, we could perceive he was no common slave. When Job had been some time confined, an old Negroe man, who lived in that neighbourhood, and could speak the Jalloff language, which Job also understood, went to him, and conversed with him. By this Negroe the keeper was informed to whom Job belonged, and what was the cause of his leaving his master. The keeper thereupon wrote to his master, who soon after fetched him home, and was much kinder to him than before; allowing him a place to pray in, and some other conveniences, in order to make his slavery as easy as possible. Yet slavery and confinement was by no means agreeable to Job, who had never been used to it; he therefore wrote a letter in Arabick to his father, acquainting him with his misfortunes, hoping he might yet find means to redeem him. This letter he sent to Mr. Vachell Denton, desiring it might be sent to Africa by Captain Pike; but he being gone to England, Mr. Denton sent the letter inclosed to Mr. Hunt, in order to be sent to Africa by Captain Pike from England; but Captain Pike had sailed for Africa before the letter came to Mr. Hunt, who therefore kept it in his own hands, till he should have a proper opportunity of sending it. It happened that this letter was seen by James Oglethorpe, Esq. [an English philanthropist who found the of colony of Georgia as a haven for debtors], who, according to his usual goodness and generosity, took compassion on Job, and gave his bond to Mr. Hunt for the payment of a certain sum, upon the delivery of Job here in England. Mr. Hunt upon this sent to Mr. Denton, who purchased him again of his master for the same money which Mr. Denton had formerly received for him; his master being very willing to part with him, as finding him no ways fit for his business. Source: Thomas Bluett, Some Memoirs of the Life of Job, the Son of Solomon (London, 1734).